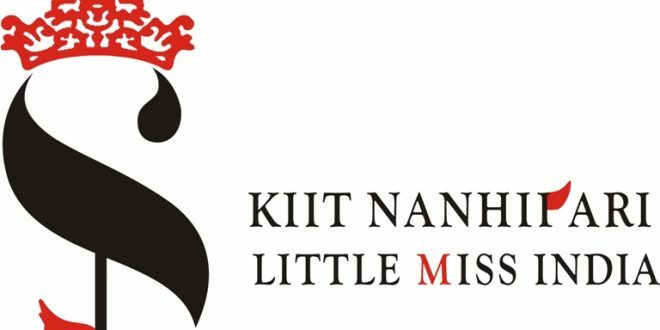 Bhubaneswar: The grand finale of KIIT Nanhipari will be held on 29th and 30th December 2016 in KiiT International School Campus. As many as 32 finalists selected from regional auditions held in 10 cities including Kolkata, Bengaluru, Hyderabad, Delhi, Guwahati, Lucknow, Mumbai, Patna, Itanagar and Bhubaneswar. The finalists will go through various categories such as Miss Rapunzel – girl with most beautiful hair, Miss Photogenic – girl with best pose in photoshoot round, Miss Selfie – Maximum likes on facebook page, Miss Fashion girl with best costume in both rounds, Miss Whizkid girl with highest marks in quiz round, Miss Cindrella girl having best personality, Miss Urvasi girl with Best Talent, Miss Catwalk girl with best ramp walk, Miss Monalisa most beautiful girl with most beautiful smile, Miss Active – Most active girl in sports round. Many attractive prizes have been introduced in the 16th edition of the competition this year. The Prize Money for the winner is Rs. 21 lakh – Rs. 3 lakh cash prize and 100% academic fee waiver subject to a maximum of Rs. 18 lakh for studying in any discipline in KIIT University. The 1st Runners Up would win Rs.10 lakh – Rs. 1 lakh cash prize and 50% academic fee waiver subject to maximum of Rs. 9 lakh for studying any discipline in KIIT University. Similarly, the 2nd Runners Up would get Rs. 9.5 lakh – Rs. 50,000/- Cash Prize and 50% academic fee waiver subject to maximum of Rs. 9 lakh for studying any discipline in KIIT University. “Nanhipari” is a talent show for teenage girls between the age group of 13-16 years. It had a modest start in 2001 in a remote and small tribal town of Keonjhar District of Odisha. In a short time-span of just 15 years, it has become a national event of repute, touted as the ‘Little Miss India’ competition, the only one of its kind.